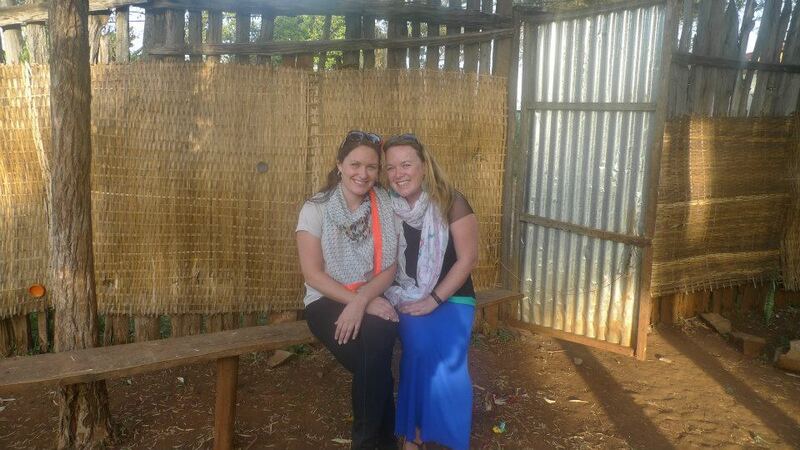 Photograph of Mary and Hannah when they met up in Ethiopia for Christmas 2012. My daughter Hannah is home visiting. She is a midwife and is volunteering with Voluntary Services Overseas. We met as a family at Nora and Colin’s house for May bank holiday. They had a barbeque after the Belfast Marathon. My daughter Nora had organised three groups to run for the Charity VSO. Well done Nora. Many of our young people want adventure in their lives. Very often before or after university they will head off to other parts whether across Europe or down under to Australia or New Zealand, as far away as possible from home. This is often a challenge to parents when their child wants to leave. Will they ever return? Twelve years ago my eldest son decided he and his friend wanted to travel for six months. They had finished university. As a parent one’s natural instinct is to be fearful. This was my first experience of my child flying the nest to go so far away. Brendan and Paul set off with promises of being in touch regularly. Back then there were few mobile phones, Smart phones or Skype. The trip turned into a year when they ran out of money, but my son had a round the world adventure! In the sixth century another Brendan, the navigator, set sail from Ireland and sailed north to the Faroe Islands and across west to a land we now know as Canada. My husband Brendan travels to the nations speaking to people about dreams, signs and wonders. So my son must have inherited the desire to travel from his father. Paul’s mum rang me soon after and asked me, “Are you not afraid for your son.” She could not get over how easy going I was about my son being away. I believed God’s word which promises that he will be under the Lord’s care. These are the days, as it says in Daniel 12 v 4 “ Knowledge and travel will increase”. Thank God for Easyjet and Ryanair, both of which have introduced us to affordable flight travel into Europe. The nations are opened up to us. I live in Ireland and my family have been able to take advantage of this freedom. Knowledge has increased as well. We can be in communication with anyone in the world with e mail, blogging, skype or mobile phone. I am taking advantage of this freedom to write my blogs!!! I have got used to, not only my husband travelling but more of my children as well. Last September five of my children left to go to the nations. Isaac went to Canada on work experience, David went to Nicoragua with Raleigh for three months, Mary went to Ethiopia with VSO to work as a doctor and Hannah went to Uganda to work with VSO as a midwife. My son Aaron went to live in Slovakia with his wife and children. Two years ago Jacob went as a volunteer to work in South Africa. They are certainly having adventures! Next weekend I am going with my husband to Slovakia. I get to go on many adventures with him. Brendan broke through to go to the nations and his children are following. « DO YOU WANT AN INHERITANCE?